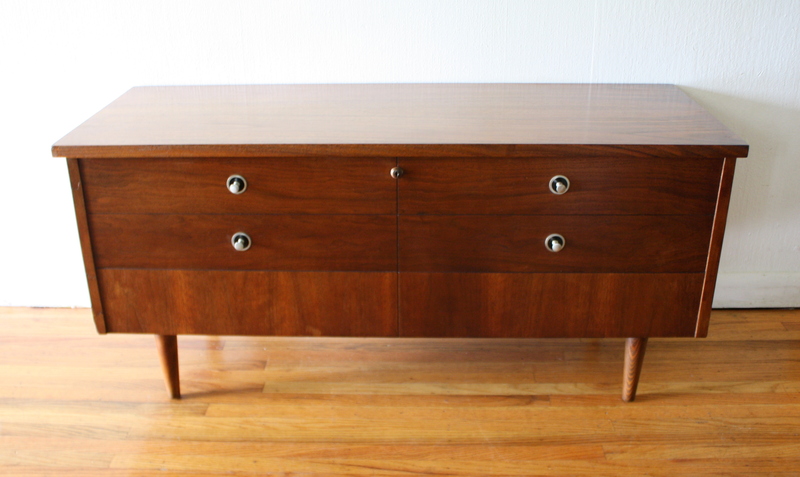 This is a mid century modern cedar chest trunk by Lane. 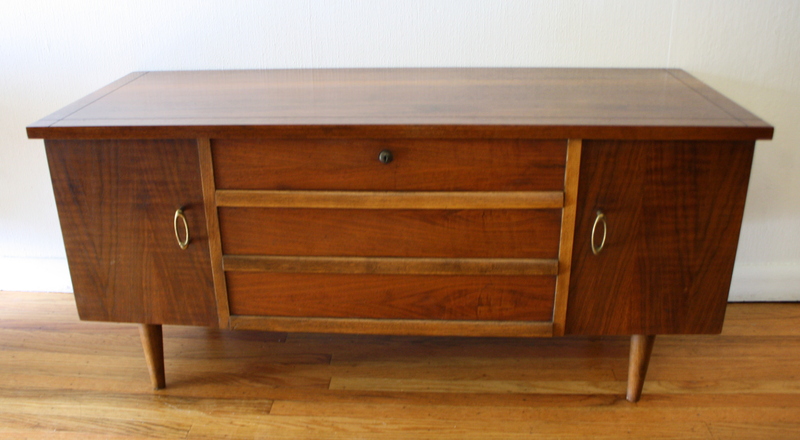 It has a parquet design, and a sliding removable valet tray inside: 53.5″W x 17.5″D x 20.5″ H.
This is a mid century modern cedar chest by Lane. 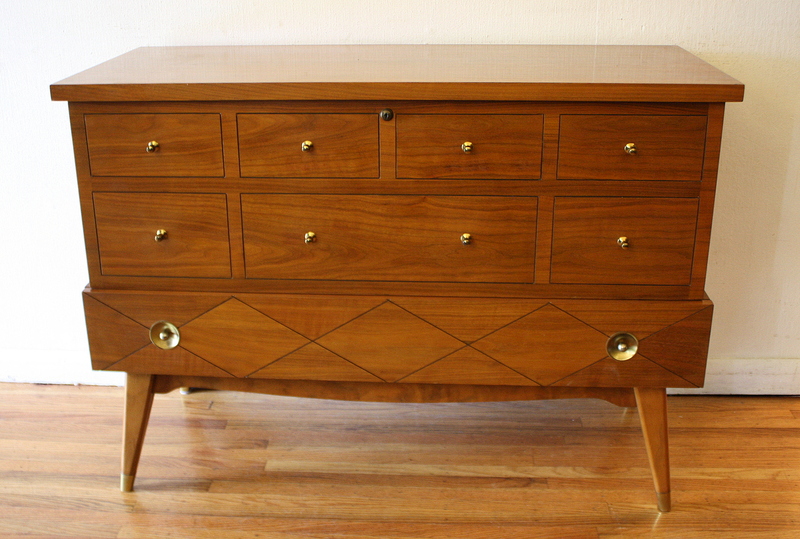 It is made of solid wood, has a fun geometric design in the front, and original key. This is an antique steel trunk with hand painted lettering and design. On the top lid of the trunk are the initials “AR”. On the sides of the trunk it says “Art Rimback Moscow Idaho”. This piece has it all: art, travel, age, rustic, folk, industrial. 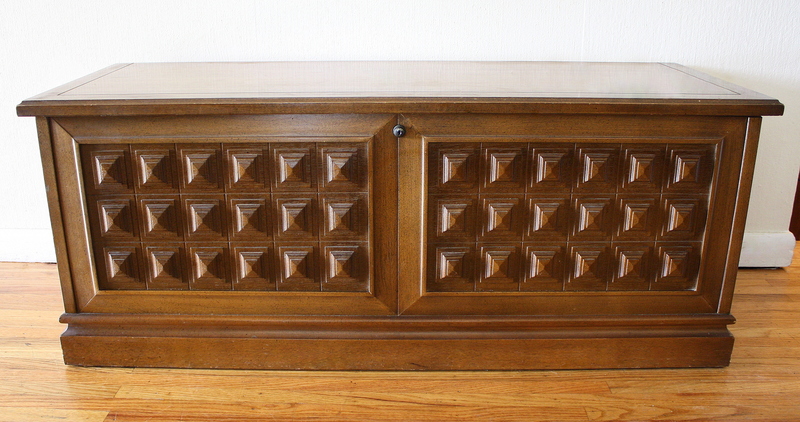 This is a really cool vintage industrial lock box. It flips open and has an upper compartment with dividers as well as a lower door compartment with a shelf. Both compartments lock with a key. 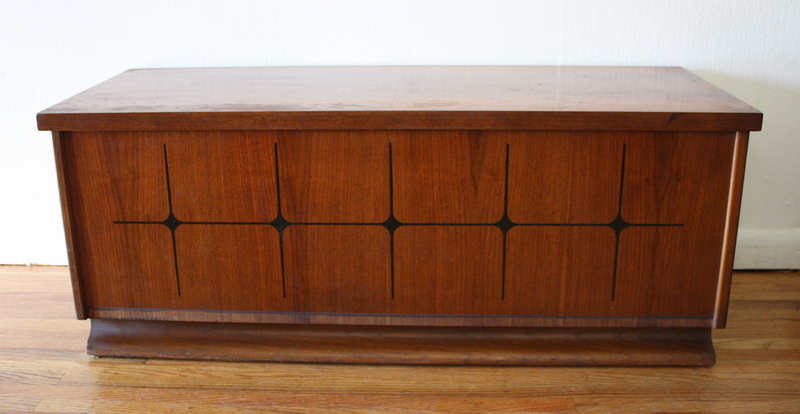 This is a vintage cube teak storage box made of solid wood. Store your things with style. 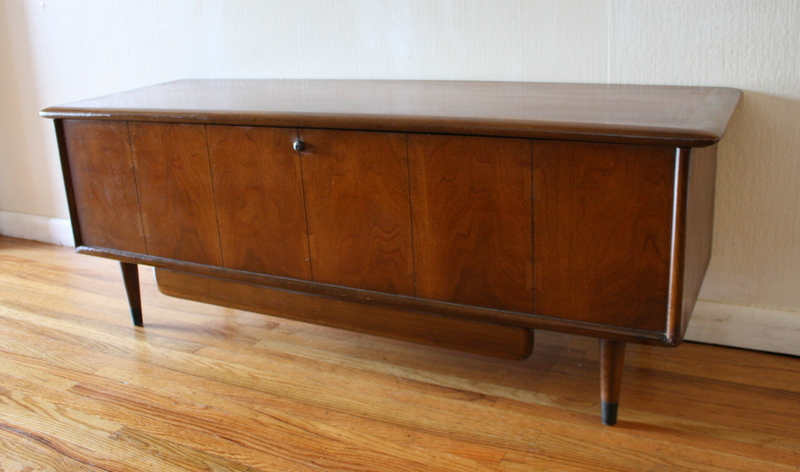 This is an antique Lane trunk hope chest circa 1941. 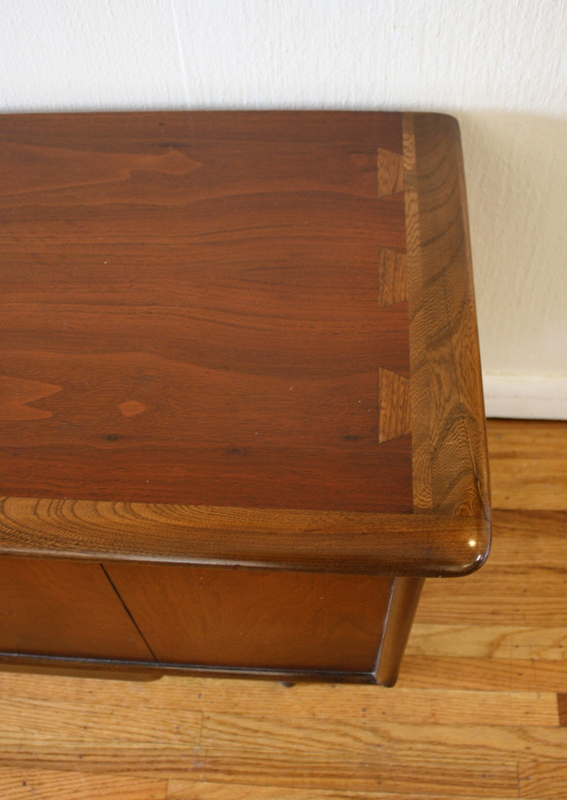 It is made of fragrant cedar wood, is very sturdy and has a classic beautiful design.